Home » Transcription » When Is a Transcription Accurate? If you’re brave enough to start plowing through the nearly 13 million search results for transcription services on the Internet, you’ll quickly notice one common number. Every professional transcription service promises greater than 99% accuracy, but what does that really mean? The presenter or interviewee whose words are being transcribed would no doubt prefer to think of accuracy as 100% verbatim documentation. But the preference of the client and the intended use for the transcription file may ultimately take precedence over the wishes of the originators of the source file. Verbatim may be more accurate from one perspective, but if it captures every pause, repetition, stutter, and background noise, such data may be of limited value if the end goal is a summary document of a conference presentation for attendees to reference at their leisure. 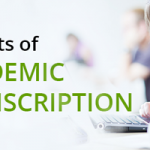 For academic transcription, for example, the accuracy of the content is of greater value than the accuracy with which that content was delivered. Coughs, sneezes, pauses, and repetitions will add no intrinsic value to that content. There are distinct elements within the control of both the client and the transcription service that dictate the level of accuracy that can be achieved. Presenting a high-quality source file with comprehensible content, delivered with well-paced and clear diction, is the best foundation for an accurate transcript. 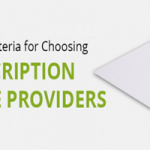 The more supporting documentation you can provide to address any potential confusion over names, acronyms, terminology, or jargon, the less challenges or delays you will face from a confused transcriptionist looking for clarification or verification of content. For the client, the choice of transcription service can offer the greatest potential for accuracy but also the greatest risk for failure. An experienced transcriptionist with relevant industry qualifications who is supported by a detailed quality control system, has the best chance of delivering greater than 99% accuracy. Anyone that promises 100% accuracy simply doesn’t understand the nuances of language that are difficult to capture in written form. 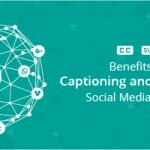 Words can be captured easily enough from a quality source file, but the delivery of those words, especially the intonation or implied sarcasm or humor, can be much harder to capture and convey to the reader. The potential for failure lies in the ease with which anyone can create a professional-looking website and start offering their services as a professional transcriptionist. Freelancers who are not burdened by the administrative overhead of a formal company can offer very attractive rates and promise amazingly fast turnaround times, but unless you are able to devote the time to do an extensive double-check of their work against the original source file, you have no idea of the degree of accuracy that will be delivered. If you discover that the absence of a quality control process results in an inaccurate product, you are left with limited options – request a refund and start the process all over again with another vendor. How you manage the inevitable project delay will be a separate matter. At best, transcription is a representation of the spoken word that has been filtered by the transcriber. 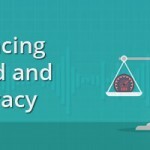 When a client sets clear ground rules for the degree of filtering or editing that will be acceptable, it will be up to the transcription service to then process the file through a detailed quality control matrix to ensure that those ground rules are followed. That the transcription represents the most accurate summation of that source file within those boundaries.